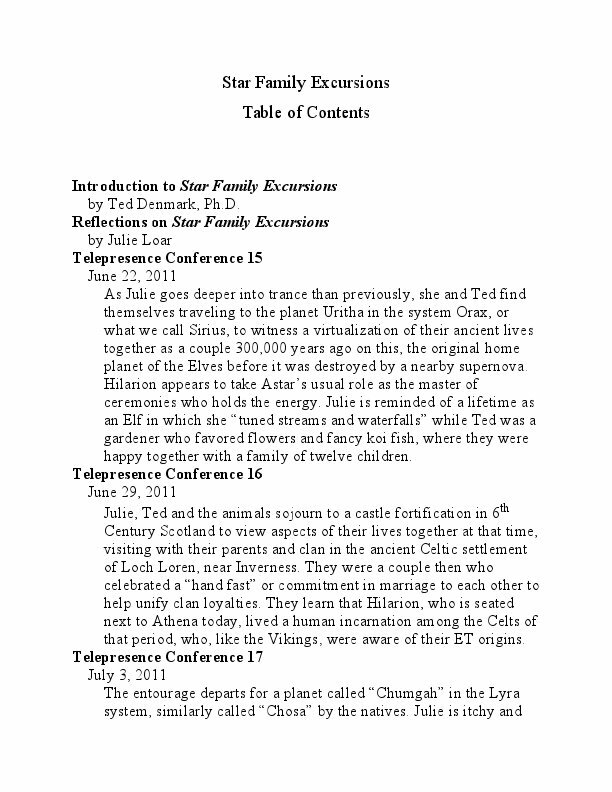 After initial revelations in The Star Table Trance Missions of Julie and Ted's lifelong contactee experiences (they are Pleiadian/ Earthuman hybrids with ET fathers), they move beyond the Star Table towards aspects of the genesis of Earthly humankind from the region of the great Central Sun Sirius in this second volume of the *Five Star Series*. There was a great cosmic incident in that system around 250,000 years ago in which a nearby nova explosion required the handful of inhabited planets to be evacuated en-masse, which they were, just in time. The Sirians don't want us to call this a “diaspora,” even though all their ancient planets were severely damaged and became uninhabitable, as they have remained. What happened to the Sirian refugees who migrated out into the cosmos on the great mother transport ships? They went in all directions, and some came to Earth, their influences remaining evident even today, particularly in ancient Egypt. 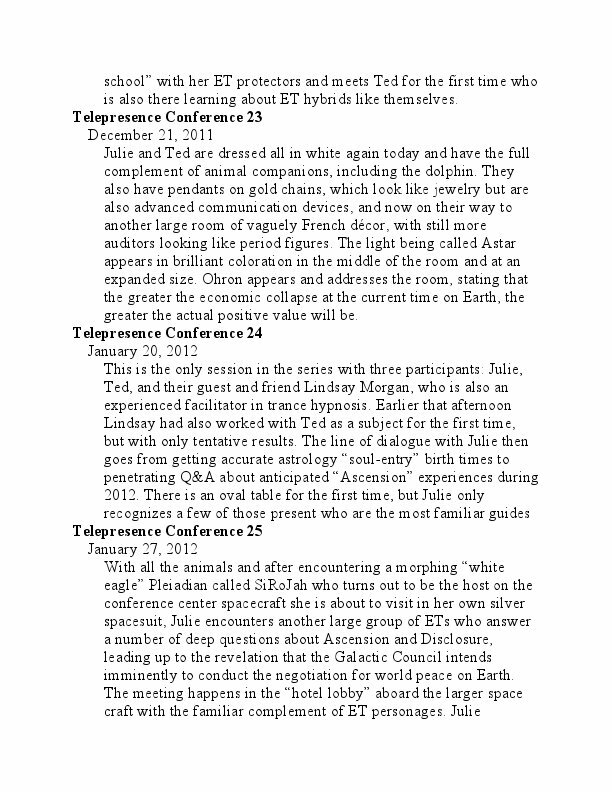 According to Julie, the Sirians appear to be a bit more advanced than the Pleiadians and more detached from the physical aspect of existence. 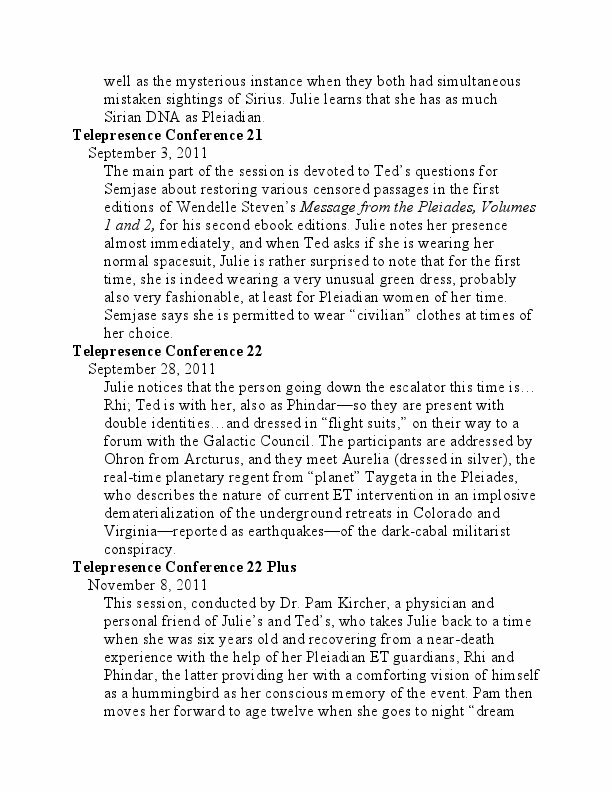 Julie and Ted are shown some of their past lives in the pre-disaster era of Sirian planets in photo-realistic visualizations, which as usual, are immersively experienced by Julie and only sensed by Ted from high-frequency energies he can “hear” but cannot decode. Three space craft appear, the last in the final contact in which a small group of negotiators from the local Galactic Council, disembark with their smart lawn furniture from the "Layer Cake" spacecraft for a brief kind of press-conference greeting to introduce their mission: they are here to conduct a peace process with governance leadership on Earth, which has already begun. So, get ready to be beamed up with Julie & Ted and their animal entourage for adventures beyond anything you—or they—could have ever imagined. 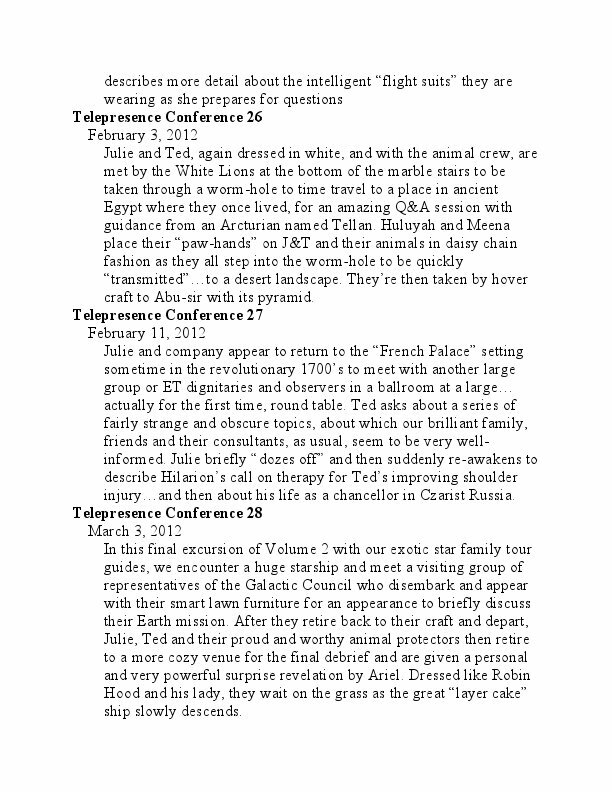 Volume 1 of the *Five Star Series*, The Star Table Trance Missions, was an attempt by Julie Loar and myself, Ted Denmark, to introduce the extraordinary conference participants we encountered in our first experimental hypnotic trance sessions, who revealed to us why we had had more unusual lives than many people of our era: we happened to be part of an extraterrestrial genetic experiment to surreptitiously produce Pleiadian/ Earthuman hybrids having terrestrial mothers and ET fathers. 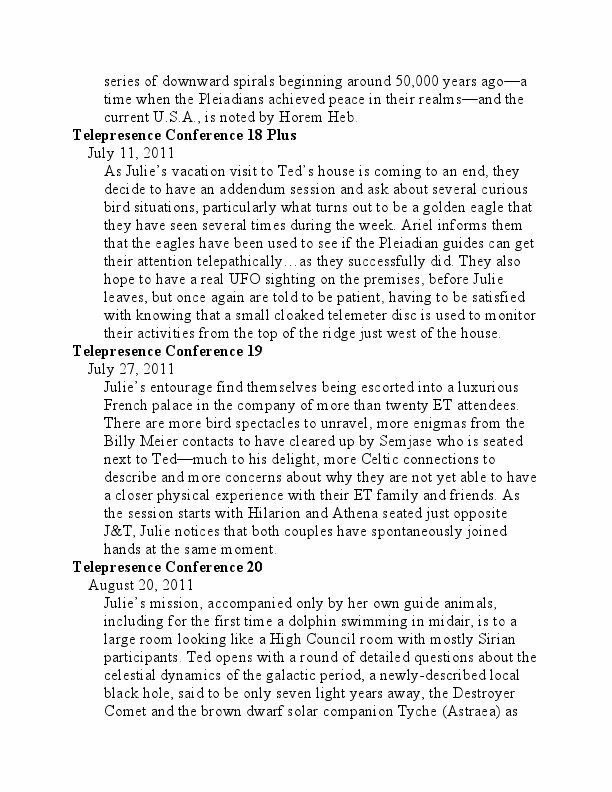 We were naturally surprised to hear this but had already been aware of being “contactees” for a number of years—without knowing why—and it was being explained to us that, after careful grooming our whole lives, we would now be instructed—if we were interested—about our own and various world circumstances, giving us continuing access to our ET handlers who would answer many of our questions and in the process, provide greater public information about their complex presence on our planet at the current strategic time, much of which had not yet been revealed in sufficient detail. It would be another “high strangeness” explanation to a confused and skeptical world about various aspects of the continuing ET enigma, but it has nonetheless been a huge breakthrough for us and opened a new phase in our lives, now spending as much time together as we could manage while still living the major part of the year in different places. 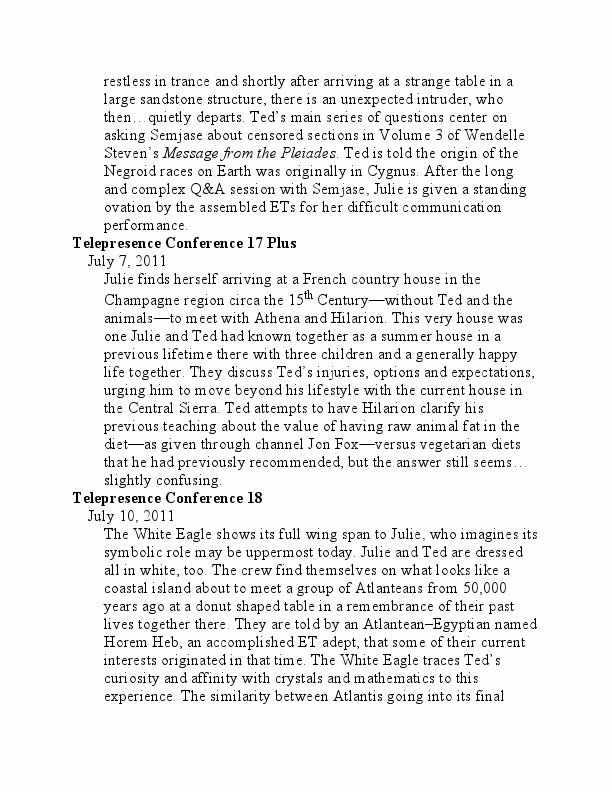 The format of our sessions, which we have chosen to call “Telepresence Conferences” because they usually involve photorealistic awareness on Julie’s part of a group of familiar extraterrestrials we refer to as our “dear friends and family” with their own varying consultants usually called for guest appearances to present more specialized knowledge, plus a few “new faces,” as well as highly-advanced celestial guides who only appear as more veiled or abstract entities rather than physical beings with faces of the usual sort, all seated together around a table of some kind, often in an amphitheater with an ET audience. Looking back over the past five years and trying to assimilate the often quite amazing contents of these recorded, numbered and carefully transcribed sessions, I can now say the result for me has been a most pronounced identity shift—and one that is ongoing. Attempting to integrate these recurring feelings of amazement with what I heretofore believed to be true about the nature of reality, has seemed to accelerate my personal growth process—not always in a completely comfortable way—even though my own awareness of what we are reporting is less immediate than that of Julie, whose gifted subjective psychic awareness forms the articulated basis for most of what we are reporting. My part in our process has typically involved discussing and formulating our questions and issues beforehand; conducting and participating in the trance sessions; then, interacting with Julie afterwards in a recorded “debrief” discussion to clarify what she experienced; and finally editing the nearly verbatim transcripts for the five volumes of this *Five Star Series* of which this Star Family Excursions is the second one to be published. 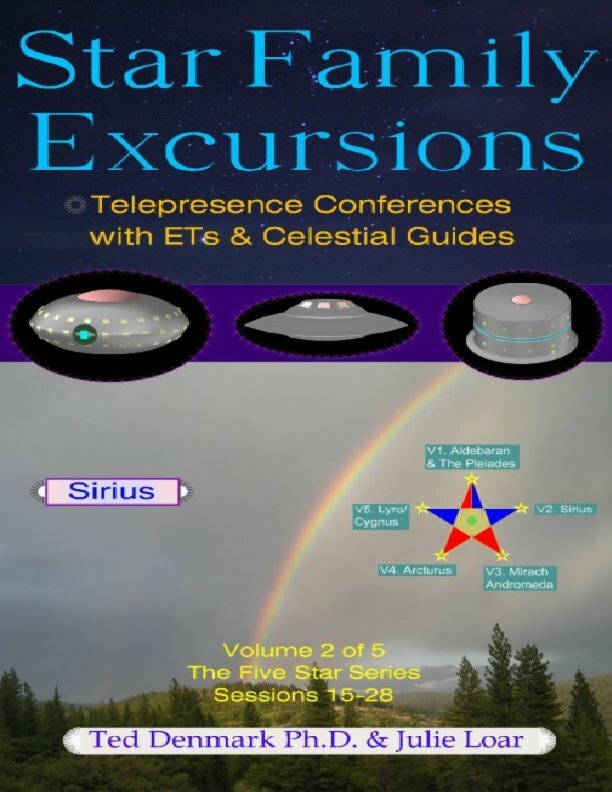 I have never directly witnessed the ETs or exotic places she describes in hypnotic trance, though I have had sightings and intense close encounters on several occasions in earlier years. My own contactee experiences will be described in the forthcoming book entitled (now published, January 2017) that includes accounts of my White Eagle Initiation experiences which began at about age thirty-three (I am currently aged seventy-two). Like most people, I’ve been through a few major “recalibrations” along life’s way, particularly from these varied contact experiences, but this current breakthrough with Julie, timed for a retirement career, has resulted in an unprecedented life review and revaluation—in which my running collection of beliefs, attitudes and ideas have self-assembled into a deeper and more unified “life convergence.” This has undoubtedly been a good thing for my sense of self and state of mind; however, yet today, because what we are reporting is so unusual—if not unique—any serious attempt like ours to report contact and collaboration with ETs is still regarded as admitting to a mental breakdown rather than an exciting breakthrough. But after initial uncertainty, we have nonetheless decided to continue offering our unusual story for publication … because it is truly amazing—and true (! )—and because our dear friends and family wish it to be shared at this time of Disclosure and Ascension for those who are ready to know more about the unique transformative process that is really going on in our world today. Ted Denmark, currently residing in the California Motherlode, has lived in Northern California for most of the last 50 years. He attended Rice University for B.A. (philosophy), studied Jungian psychology in Zurich, Switzerland and attended graduate school at UC Berkeley where he received his Ph.D. in Developmental Psychology in 1975. He worked at UCB Space Sciences Lab as a design engineer for several decades before becoming a computer software engineer at Autodesk and later as part-time adjunct, taught Computer Science at Columbia College in Columbia, CA. His interests include organic gardening, solar architecture, astrology, ballroom dancing and a wide array of scientific and esoteric studies. His current retirement career as a writer has been primarily focused on exploring and writing about his and other contactee experiences over the course of his lifetime. He was married to Julie Loar, his current co-author for the *Five Star Series* in 2015. 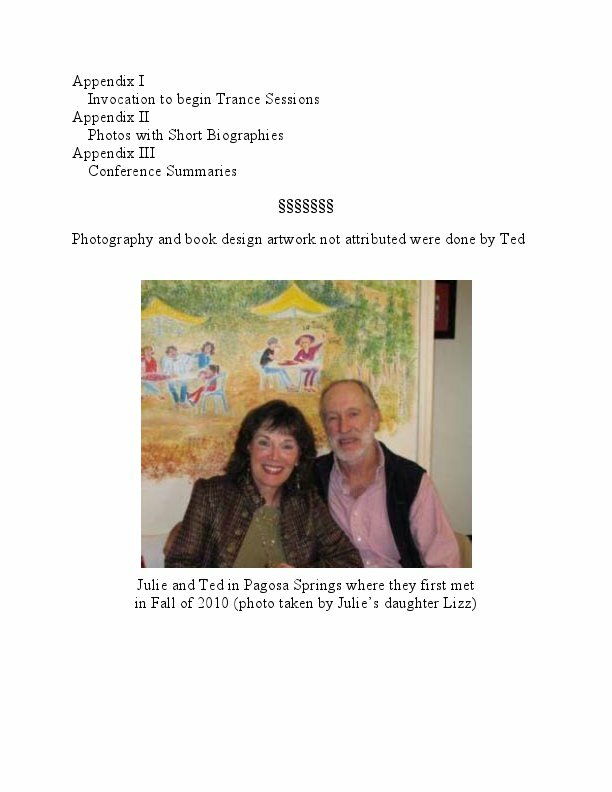 His recent publications include: Message from the Pleiades, The Contact Notes Of Eduard “Billy” Meier, Volumes 1-4, editor, 2nd ed., copyright Wendelle Stevens and Cece Stevens, Hemet, CA, Bookbaby, (ebook 2013). 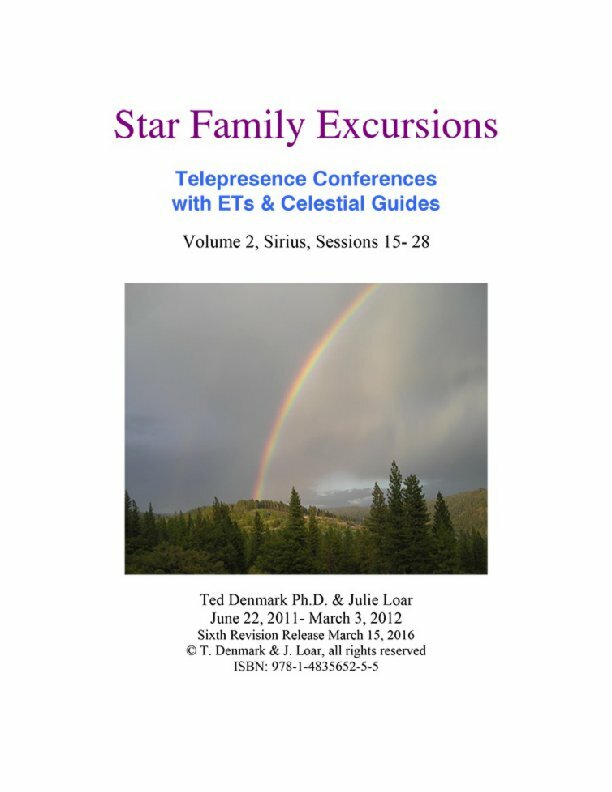 The Star Table Trance Missions, Telepresence Conferences with ETs and Celestial Guides, Volume 1 of the *Five Star Series*, with Julie Loar, Bookbaby (ebook, 2015). Julie Loar, born in Columbus, Ohio, currently lives in the ski and spa resort town of Pagosa Springs, in Southwest Colorado. 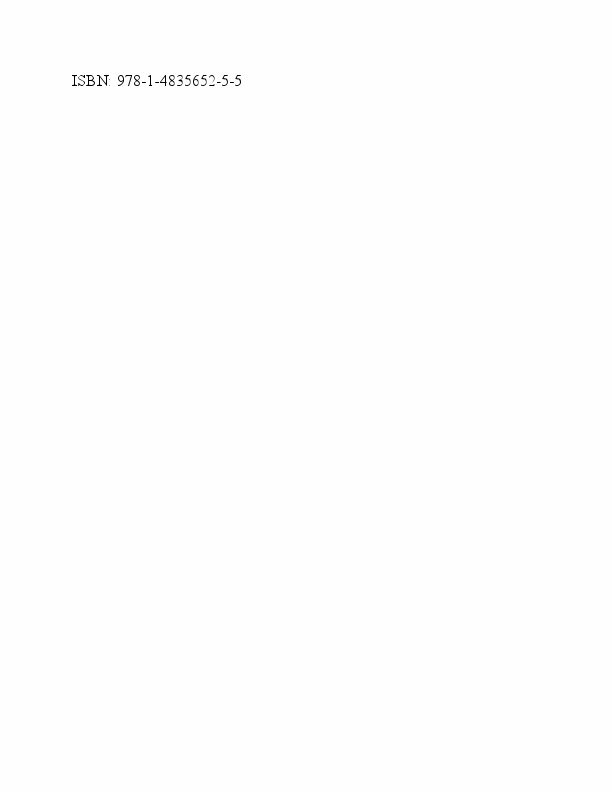 She previously resided in Dallas, Texas while employed by J.C. Penny as a regional Vice President of Human Resources and later by Lennox Industries as Director of International Training. She has also worked as an independent training consultant with several other large companies. She has a B.S. in Psychology, has done postgraduate work, and has been certified in numerous professional training and development programs. After a near-death experience in Mexico in 1966, she began to pursue what has become her lifelong interest in dreams, symbols, angels, space travel and ancient Egypt through an intensive thirty-year study of metaphysics. Focusing on symbols, mythology, Astrology, Tarot, Qabalah, and dreams, Julie has been a spiritual practitioner and teacher since 1972. Julie is the multiple award-winning author of six books and dozens of articles, and her work has been translated into several languages. She has spoken internationally on women’s issues, leadership, motivation, mythology and symbolism. Julie Loar’s publications (most recent first): Goddesses for Every Day, Exploring the Wisdom and Power of the Divine Feminine around the World, New World Library, Novato, CA, 2011. Regular astrology feature article, Atlantis Rising Magazine, Livingston, MT, 2000-present. Dream Oracle monthly feature article, Oracle 20-20 Magazine, Atlanta, GA 2005-2006. Tarot & Dream Interpretation (written as Julie Gillentine), Llewellyn, St. Paul, MN 2003. Astrology & Tarot, Linking the Archetypes, (written as Julie Gillentine), Queen of Cups Press (Capella Press), 3-ring binder, Pagosa Springs, CO, 2002. Occult Symbology & the Metaphysics of Number, (written as Julie Gillentine), Queen of cups Press (Capella Press), 3-ring binder, Pagosa Springs, CO, 2002. The Hidden Power of Everyday Things, (written as Julie Gillentine with Jonathan Sharp & Constance Stellas), Simon & Schuster-Pocket Books, 2000. Messengers, (written as Julie Gillentine), Archive Press, Boulder, CO, 1997.